Christy was born in Dublin on August 12, 1947. He bought his first banjo in the 1960's and migrated to Australia in 1967 at the age of 19, with 20 pounds in his pocket and a burning desire to play music. His very first band was 'The Longford Street Band', formed around 1970, and from there he went on to form 'The Cobbers Bush Band' with Chris and John Armstrong and Mark 'Blossom' Brown. They became very successful in Australia, and toured extensively in the United Kingdom and the USA. A highlight was performing at the Reading Rock Festival to over 100,000 people. In 1980 Christy was awarded 'Most Popular Male Australian Folk Singer'. 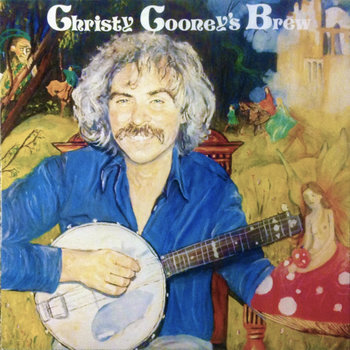 He left The Cobbers in 1982 and formed 'Cooney's Brew', recording an album of the same name with renowned players like Louis McManus, James Cooney, Steve Cooney, Simon Melia and John McAuslan. The band toured extensively with The Fureys on their Sweet Sixteen tour. He went on to form 'The Rock Wallabies' with Rob Fairbairn, Greg Rough, James Cooney and Norman McCourt. They went on to tour Ireland and England in the late 1980's. In the 1990's, he formed 'Riley's Boot' a trio with Greg Rough and Mark Leigh, developing into 'Celtic Storm', a band which still performs, with a variety of talented musical friends, to this day.In 2015 Christy was awarded the honour of 'Legend of the Lake', by the Lake School of Celtic Music, Song and Dance, in recognition of his contributions to the school, held each year in January, in the beautiful village of Kooroit in Victoria. Christy now lives happily in Apollo Bay with his wife Linda, regularly running an Irish session, and still gigging with his many musical friends around Victoria.